Neoprene sleeve that provides compression and support for general knee pain. Ideal for lifting. Sold in pairs. Is the DonJoy Performance Anaform Power Knee Sleeves Right for me? Whether you have nagging knee pain, swelling or need support, the DonJoy Performance Power Knee Sleeves delivers stability and compression for day-to-day activities, weight lifting, Crossfit and sports. The DonJoy Performance Anaform Power Knee is created with an anatomical fit for knee support, compression and stabilization associated with general knee pain, swelling or mild strains and sprains. The design helps provide squat rebound that weightlifters need for enhanced performance, while the 5mm neoprene and texturized lining offers support and heat retention to help injury prevention. Thin and lightweight, the Anaform Power Knee can be worn under clothing for all day support or during activity. 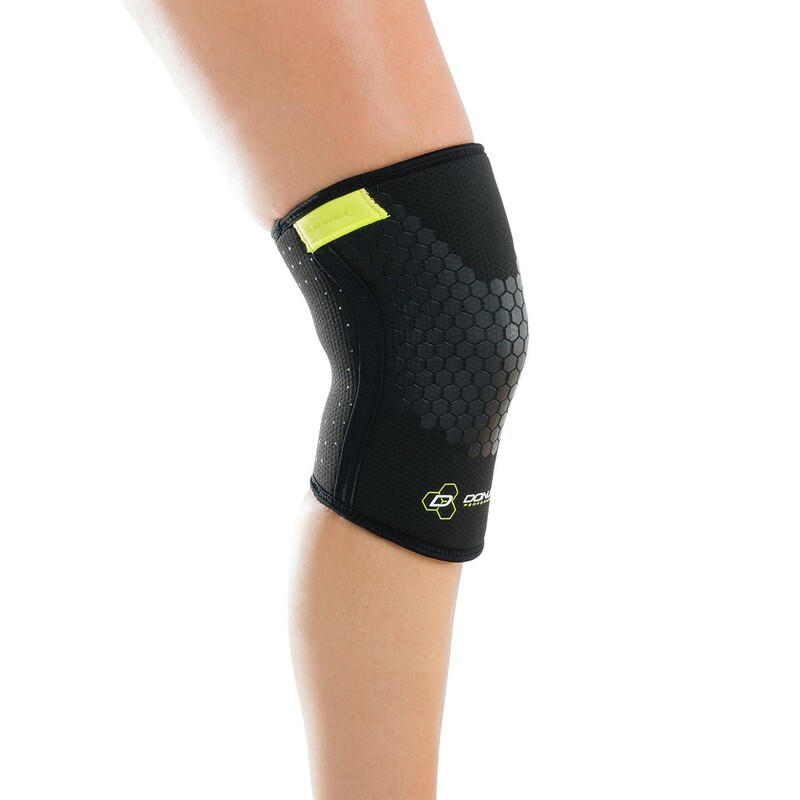 Shop our complete selection of Knee Pads or browse additional Anaform products.